Down & Out Books, 9781946502704, 360pp. In 1914, Vincenzo Leone, Salvatore's oldest son, emigrates to Philadelphia to start a new life for himself and his family in the promised land. Several years later, Giuseppe Agnello, Luigi's eldest, secretly marries Francesca Leone, Vincenzo's sister, and the couple escape to New York City. Giuseppe leaves to serve his new country during the First World War. Francesca, alone and in need of support for herself and their infant son, Louis, travels to Philadelphia to live with her brother, his wife, and his two daughters. The Spanish Flu takes the lives of Vincenzo's wife and sister in 1917, and Leone moves with his daughters and Francesca's son to San Francisco. Vincenzo Leone decides to raise Louis Agnello as his own child. When Giuseppe returns from the war, he finds his wife and son gone. It takes more than five years for Agnello to learn the whereabouts of his family. Giuseppe travels to San Francisco with hopes of a reunion with Francesca and Louis, and becomes a victim of the hatred between the two families that has been recently transplanted in America by Vincenzo's younger brother, Roberto. Vincenzo learns that Giuseppe had traveled to San Francisco to locate his wife and son, but Agnello had never reached Vincenzo's door. Vincenzo begins to worry about the safety of sister's son, and decides Louis will accompany him to New York City and to Sicily. A failed attempt on the boy's life results in Vincenzo's death, and instigates a fresh and fierce hostility between the Agnello and Leone families that rivals the hatred and vindictiveness experienced in the old country. 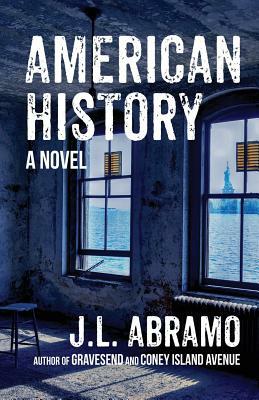 American History is the epic, generational saga of the Agnellos and the Leones (in the Italian language the lambs and the lions)--a one-hundred-year conflict between Giuseppe's descendants in New York City, law enforcers, and Vincenzo's descendants in San Francisco, lawbreakers.